This program prepares in-service teachers in Chatham, Durham, Orange, and Wake counties, to adopt technology-enabled strategies for: 1) connecting with other cultures through global collaborative projects, 2) crowd curating cultural media collections, and 3) reflecting on cultural understanding through written and multimodal works. For our 2018 and 2019 cohorts, Czech culture serves as the focus for this work, with twenty teachers selected each year for a two-week immersion in the central Czech Republic, framed with technology projects that encourage connections with Czech educators, collections of Czech cultural artifacts, and reflections on Czech culture. Past programs have been held in England, and most recently in Finland and Sweden. Who is leading this program? This program is led by education faculty in NC State's College of Education: Dr. Kevin Oliver (Digital Learning), Dr. Ruie Pritchard (English Education), and Dr. Angela Wiseman (Literacy). Additional program faculty include: Dr. Michael Cook of Auburn University (English Education). This program is underwritten by a grant from the Triangle Community Foundation's Borchardt Fund. If you have any questions about applying, you can contact Dr. Oliver (kmoliver@ncsu.edu). Any full-time, in-service teacher in Chatham, Durham, Orange, or Wake county, in a public or private school, is eligible to apply. Licensed media coordinators and technology facilitators who work closely with teachers are also welcome to apply. These are the counties serviced by the Triangle Community Foundation, sponsor of the program. While this is a technology-oriented program, teachers need not be experts in technology to apply, as we hope to help develop these skills in participants. However, teachers should be interested in incorporating global perspectives and connections into their classrooms. How does one apply for this program? The application period for the summer 2019 program closed on December 31, 2018. If further opportunities are available beyond summer 2019, we will post an update here. Summer 2019 applicants will be notified of acceptance or non-acceptance by the end of January, 2019. To guide selections, four faculty will independently review each applicant’s video and total their separate scores across several factors, including current incorporation of global perspectives, technologies, and literacies (readiness) matched against interest in and described opportunities for incorporating global perspectives, technologies, and literacies (potential). Depending on who applies, we will also attempt to achieve a balance across the foundation's target counties (Chatham, Durham, Orange, and Wake), across teachers' grade levels (elementary, middle, and high), across teachers' content areas, and across demographics. In the past, we have not received many applications from teachers outside of Wake County, or male teachers, so we do encourage teachers in these demographics to apply. What is expected of participants (classes, projects, and travel)? As this is a professional development program, teachers are required to attend three full-day Saturday classes at NC State in advance of travel (2019 class dates are March 23, April 27, May 18), and three full-day classes on-site in Prague (TBA). The 2019 travel dates are June 29-July 14. During classes, participants will learn about technology-enabled strategies for connecting with other cultures, curating cultural media collections, and reflecting on culture in written and multimodal works. The desire is for teachers to learn about strategies they can apply in their own classrooms. 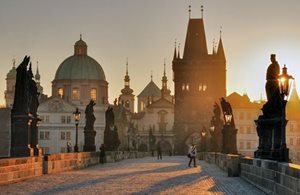 In the Czech Republic, teachers are expected to participate in scheduled cultural excursions with the group, both within Prague and including several day trips outside of Prague on a chartered coach. What is expected of participants (research)? Participants are encouraged but not required to participate in research we are conducting on this program to determine how the cultural connection, collection, and reflection activities support greater cultural understanding. Teachers who agree to participate in the research will complete short pre-post surveys on their global competence and program experiences. Those participating in the research also agree to have their class projects analyzed for evidence of cultural understanding. How are participants exposed to Czech culture? This program introduces teachers to the Czech education system through inter-cultural classroom projects, teacher partners, readings, and arranged tours in four different regions of the Czech Republic. Further, scheduled excursions to cultural sites and follow-up technology projects are purposefully selected to introduce teachers to other aspects of Czech culture (art/music, craft/design, architecture, literature, popular culture, history) with class time allotted for group discussion and reflection. What can one earn for participating? Teachers can earn three continuing education units (CEUs) for their participation (free), and any teacher who is also a graduate student can take an independent study from NC State and receive three graduate credits for participation (tuition payment required). What is covered and what costs do participants have to pay? ​With foundation funding, the costs of this program are greatly reduced for participants. Participants receive two weeks free lodging in a shared hotel apartment with kitchenette (two participants per apartment), $150 allowance for food paid after returning from Prague (hotel apartments come with furnished kitchens, television, WiFi, and air conditioning, and the hotel offers free breakfast), $75 allowance for museum admissions during free time, $125 allowance for individually booked cultural experiences or tours with locals, $30 for a two-week transit pass in Prague (buses, trams, metro), $60 for airport transfers, free lunch or snacks during classes, and coach transportation and admission costs for cultural attractions we will visit in five Czech regions plus Saxony, Germany: Prague region, Liberec and Hradec Kralove regions (Sychrov Castle, Prachov Rocks), south Bohemia region (Cesky Krumlov), Karlovy Vary region (Karlovy Vary spa town, Moser glass, and Becherovka manufacturing), and Saxony, Germany (Bastei natural area, Albrechtsburg Meissen, Germany's oldest castle and birthplace of porcelain, and Wackerbath winery). 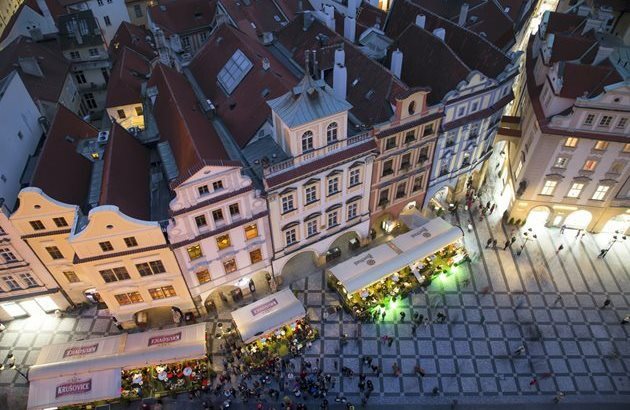 Although our base of operations will be Prague, tours are designed to get the group away from Prague to experience different aspects of Czech culture (e.g., economic staples, religion, history, art/architecture, nature). Teachers will have several free days to explore attractions in Prague or can easily take trains from Prague Central Station to other cultural attractions and cities throughout the Czech Republic (e.g., Terezin, Pilsner Urquell brewery in ﻿Plzen﻿, city of Brno). The direct foundation benefit per participant is more than $2000 each. 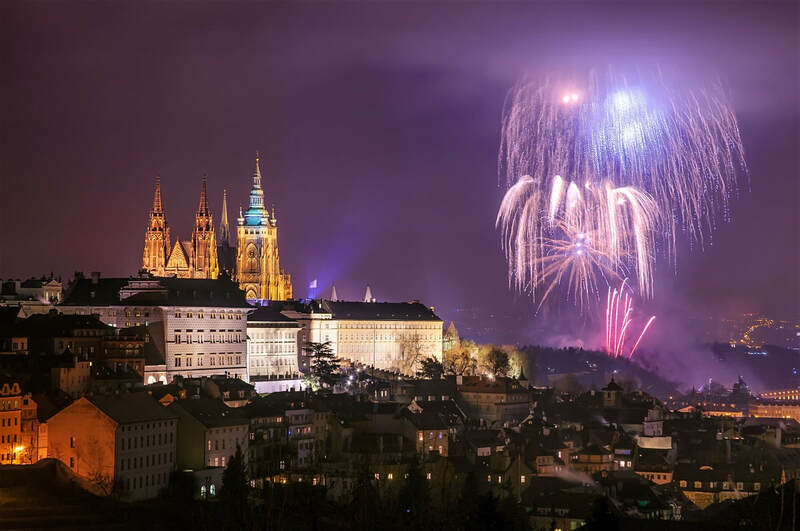 Participants are responsible for their own airfare to Prague (estimate of $1200-1500) and for dining out (optional given free breakfast and kitchenettes in hotel apartments). Dining out is very affordable in Prague, and most participants of our 2018 program ate out every night.